WIT Business Society is one of the college’s most renowned societies, and was once one of the biggest societies in WIT. 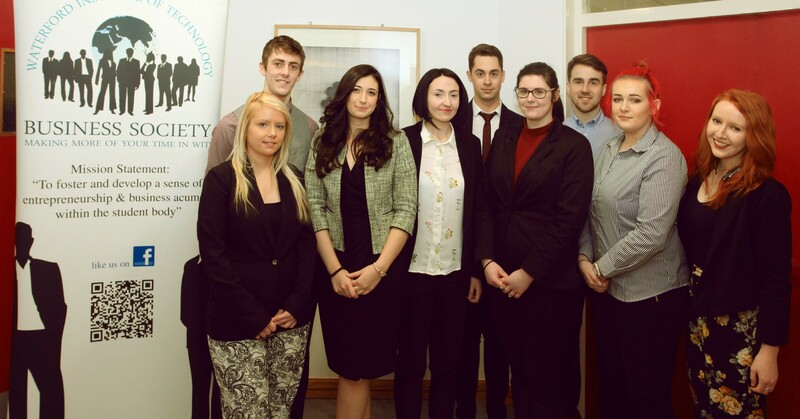 2015 saw the relaunch of the society, with the hope of becoming bigger and better than ever before. The society is a valuable resource for all students interested in all elements of business and serves to enhance every student's time in the college through both educational and social events throughout the year. It also offers unique opportunities for students to interact with faculty, professionals and other students of similar interests. 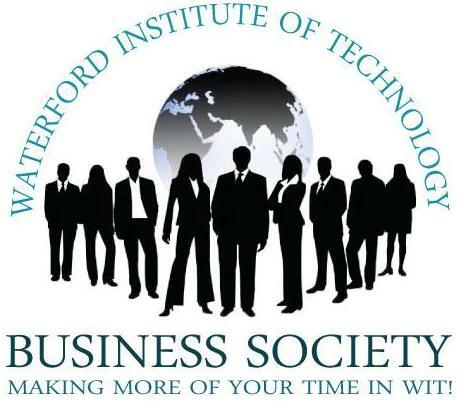 WIT Business Society host a wide variety of events throughout the year, the largest ones being WIT Business Day and the annual, most anticipated event of the year: WIT's Business Ball. WIT Business Day, which the society hope to expand in the future as 'WIT Business Week', invites local forerunners in the business community and graduates of WIT who are successful in their chosen career, to speak to WIT staff and students along with students from local secondary schools. The day gives speakers a chance to share their success stories in an aim to inspire and inform the future stars of business. Another highly popular event that the society hosts every year is The WIT Business Ball which is the largest and most anticipated societal events in the college calendar. It hosts approximately 400 students every year and is constantly continuing to grow in popularity. The hype created by the Society, both online and through word-of-mouth in the college surrounding the 2016 'Charlie and the Chocolate Factory' themed Business Ball, was so big that the tickets for the ball sold out in less than two days. The society welcomes all students, from any department of the college, at any time. Official membership can be obtained on Clubs and Societies day, in the Clubs and Societies’ office or through contacting the Business Society directly via e-mail or through their various social media pages.